The Kings' playoff chances get worse and worse. Remember when the Kings were in the playoffs? Playoffs are here! 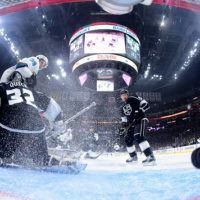 The Kings are playing the Sharks first! Again. Summer's here! But don't be sad. 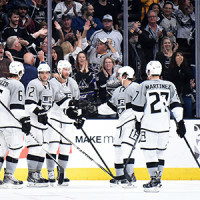 Martinez scores the game-winner in double overtime to clinch the Stanley Cup for the Kings!